This Canvas Properties dialog is used to establish the properties of the current main canvas. To change these parameters while working on a project, go to the caret menu, select 'edit' and then 'properties'. Or you can alternatively use the keyboard shortcut F8. 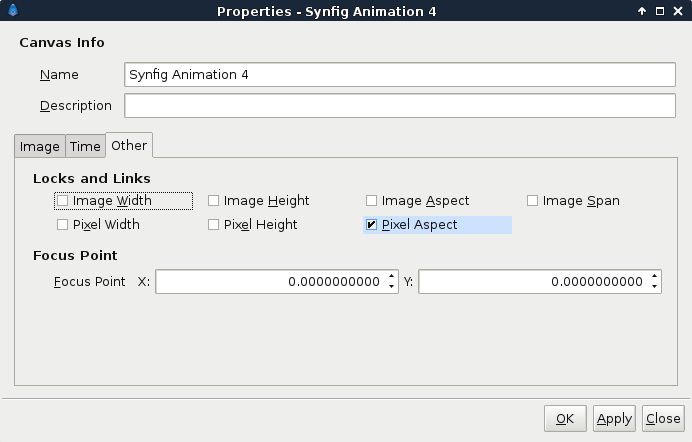 This dialog is composed of a header (upper part) and three tabs : Image, Time and Other. 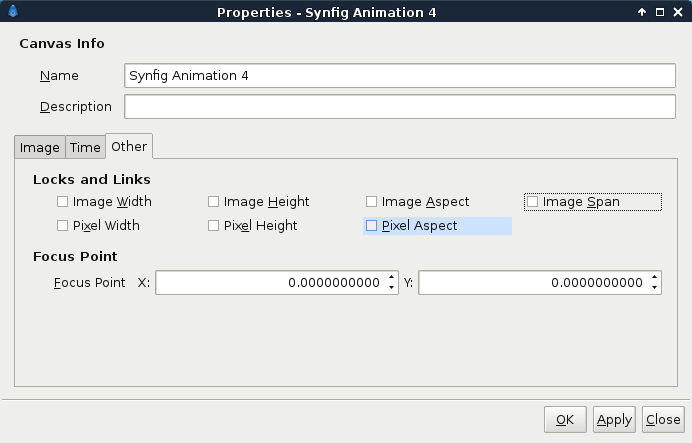 If you have defined the SYNFIG_ENABLE_NEW_CANVAS_EDIT_PROPERTIES environment variable, then this will automatically be displayed when you start a new project. Par default, the origin (the point with x = 0 and y = 0 coordinate) for new created Canvas is set visually to the center. Adjusting the "Top Left (X/Y)" and "Bottom Right (X/Y)" coordinate without changing the difference between the two point (the vector), you can translate the Canvas origin. This page was last modified on 2 July 2015, at 09:23.